Roger is a vertebrate paleobiologist who uses large-scale analyses of the fossil record to understand how modern biodiversity was assembled through deep time. His doctoral work at Monash University focused on functional transformations associated with the evolution of flight in Mesozoic birds. 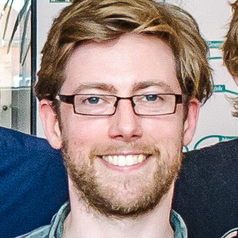 Before taking up his current position as ERC Research Fellow on the TERRA project, studying large-scale patterns of taxonomic diversity in terrestrial vertebrates, Roger completed postdoctoral work at Oxford on the macroevolutionary transformations associated with the Cenozoic radiation of acanthomorph fishes.